Oh the romance! 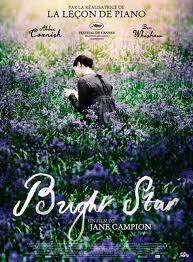 Bright Star was just gorgeous! Simmering looks, passed love notes, spoken poetry, fields of flowers, anguished exchanges. Very much my kind of romantic movie. 8/10.